This is the starting point for great service. If you don’t understand the expectations of your customers, then everything that you do is likely to contribute to failing to meet them. Customers will have expectations whether you understand them or not. They usually consist of outcome factors and process factors and have a zone of tolerance for them to be acceptable. The outcome factors relate to the reliability of the service/product and determine whether the service/product meets the customers’ expectations. The process factors relate to the customers experience and will determine if the customers’ expectations have been exceeded or not. Not that we should limit ourselves to saying "Thanks!" to one day per year, but Australia Day offers an opportunity and a reminder to be thankful for what we have. Recently I posted an article titled the Thankful List. Think about the things for which you are thankful and offer a genuine "thanks!" to at least one person today. Why not! 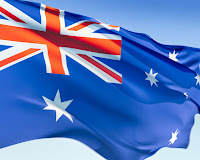 For those of us who live in Australia we recognise that we are very lucky to live in a country full of opportunity and potential, while still remaining relatively safe. I too would like to thank you for making the effort you are making to help make your organisations, institutions and centres of learning better places for the people who work/study there and the people you serve. You can never underestimate the positive difference that a lot of people doing a lot of 'little things' can make over time. Enjoy today and once again, thank you! Just as great service tells us what we should be focussing upon and where our resources should be allocated, great service also helps to identify what we need to stop doing or what we should not start doing in the first place. Southwest Airlines is an example of an organisation that is clear about the service that its customers want. They want safe, regular, reliable services that will get them to their destination on time delivered by genuine, caring and courteous staff. Everything else, the in-flight food, the styling of the tickets etc. is all secondary to the main expectations of its customers. Southwest’s Customer Charter outlines how it respects and addresses the expectations of its customers. You will not find Southwest Airlines placing a lot of focus on in-flight food. While it is available, it is not the main focus of their service. So they don’t put any more effort than is required into that part of their service. Southwest’s service focus enables it to know what to do and what not to do. After we had expelled three members from the centre and fully refunded their memberships (even though they had already used 90% of their time) we were approached by more than 30 members who told us that if we had not acted and expelled the three people, then they would have all gone and joined another centre. It really re-enforced that our members’ code of behaviour was there for a reason. The worst thing we could have done was to have turned a blind eye to it. It would have cost us.